Yeah, I know the title is nonsense, but give me a break. I’ve been hopped up on Tylenol Cold – non-drowsy formula, for 4 days now, and I’m feeling a little dopey, a lot of speedy. I’ve been in bed all day, surrounded by process maps and my computer, trying to make sense of it all. Who ever said there was no creativity in my day job? 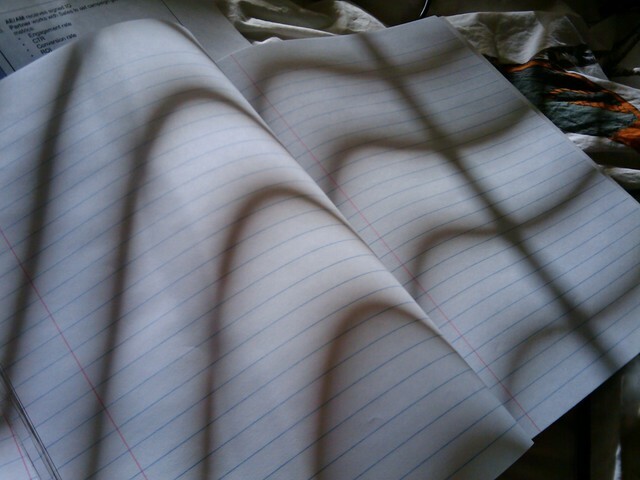 Anyways, at one point, I threw it all down and noticed the cool shadows undulating across my notebook. Flip, fresh page. Click – share – and here we are. It would have been so much easier if I could get blogger mobile to work, but bleh – I’m sick of fooling with it. I think it’s time for another dose of Tylenol. Hooray! As I walk beneath the trees. This story is just too damn funny to even comment on… Read it at omg! I’ve had crazy dreams lately. 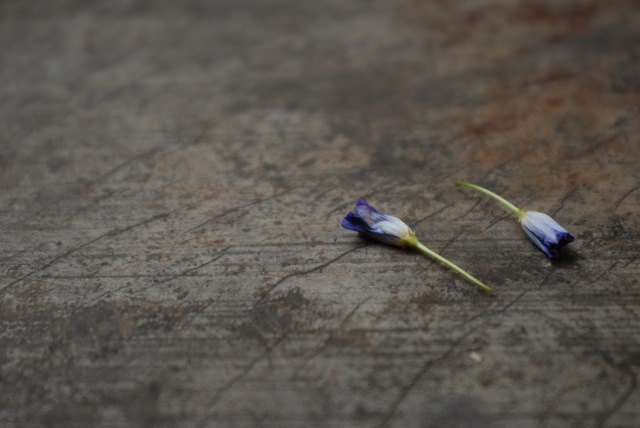 I haven’t had a chance to write about them, but I will soon. And at some point, let’s just say next year since I know aiming for anything this year is a joke, there will be a series of paintings based on my wacky, tacky dreams. 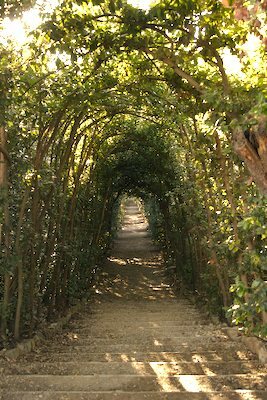 So instead of staying in my sleep-depraived state of mind, I’m going to post a photo from Carmel (oh Carmel, you were so long ago…) and pretend that I’m in that state of mind.